This could be the start of something great in the thriving Auckland hospitality industry – read on! Located at No 1, Westney Road, Mangere on a high visibility corner location, this long established B&B is the closest to Auckland Airport. The Bed & Breakfast has operated under the current owner for 11 years and operated as a B&B for over 20 years. The weatherboard building was relocated from Mt Roskill and is some 80 years old – solid and very well maintained. The excellent reputation built over this time is well deserved and much thought and attention to detail makes it one of Auckland’s best. With 10 quality rooms (4 have ensuites) a large and pleasant lounge/dining room with Sky TV and a WIFI station it ticks all the boxes. The rooms are fresh, crisp and extremely comfortable, appealing to any traveller. The owners apartment is private comprising lounge/dining, bedroom and study. Buffet breakfast and courtesy transfers are offered by the present owner. Just 10 minutes to Manukau City Centre, a thriving multi-cultural hub where Rainbows End Amusement Park and Events Centre draws large numbers of tourists each year. Close to restaurants, shops and Villa Maria Winery and the Tropical Butterfly House this is a prime location for a Bed & Breakfast business. 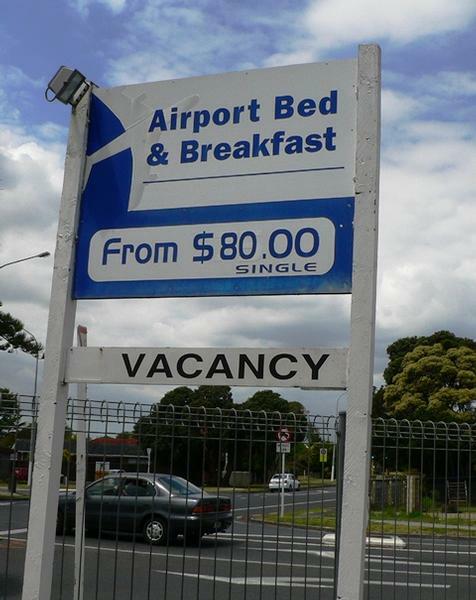 Auckland Airport is a quick 5 minute drive, a major plus to consider. Interested? Don’t delay –contact the broker Carolynn Crawford of Tourism Properties 021 247 8716 for more information today and arrange an inspection. This is an excellent opportunity ideally suited to a couple working together. If a Bed & Breakfast business is not for you – don’t discount this property as an investment opportunity. It would be ideal for Professional Rooms – medical, lawyers or similar being a well located corner location on Kirkbride Road. A comprehensive Chattels List, Financial Statement and Owners Business Overview are available on request.